Merle Silvis of Ravenna, Ohio passed away unexpectedly on Saturday, March 24, 2018. Merle was born in Greensburg, Pennsylvania on September 29, 1959, the son of the late Reita Silvis Smalley and Ronald Silvis. 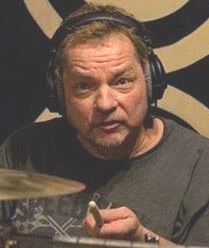 Merle was a talented musician, a gifted drummer, having played in several local bands including Bringing Benatar/Invincible and the Been A Long Time Band. He was also a very skilled welder/fitter, having worked in heavy welding shops in Ohio. He was a highly respected supervisor and a man who could motivate employees to bring out their best potential. Merle was quick with a broad smile, and with a sense of humor unequaled, he could make you laugh even when you were feeling at your worst. Merle was a devoted father, grandfather and brother as well as a beloved uncle to many nieces and nephews. Merle honorably served his country as a member of the U.S. Army, serving in Germany and Ft. Sill Oklahoma as an artilleryman. He wore his uniform proudly and as honored to have served the country he loved. Merle was preceded in death by his mother, Reita Silvis Smalley, his father Ronald V. Silvis, a son, Michael, step father, David Smalley, step mother, Thelma Kaiser and nephew, Aaron Miller. Merle is survived by his children, Jonathan, Jason, Jenifer and Britny, as well as his grandchildren, Ian, Esmay, Alysia and David, brothers Jack Silvis and Lee Silvis of Garrettsville, Robert Kaiser of Pittsburgh, sisters Kath Ervin of Florida, Sherry Miller of Garrettsville, Sandy Ellis and Carol Leff of Pennsylvania and his brothers and sister-in-law. Merle also leaves behind many nieces and nephews who loved him and will miss him dearly, as well as his former wife Sheila Silvis., For those who knew Merle, you are very fortunate to have had him in your life. Merle had many friends and had the same affection for the people in his life. While heaven gained another talented musician, we will miss you Merle. No calling hours or services at this time. Final resting place will be at the Ohio Western Reserve National Cemetery in Rittman, Ohio with military honors at a date and time to be announced. Arrangements are by the Green Family Funeral Home & Crematory Service in Mantua where condolences and memories may be viewed at www.greenfamilyfuneralhome.com.